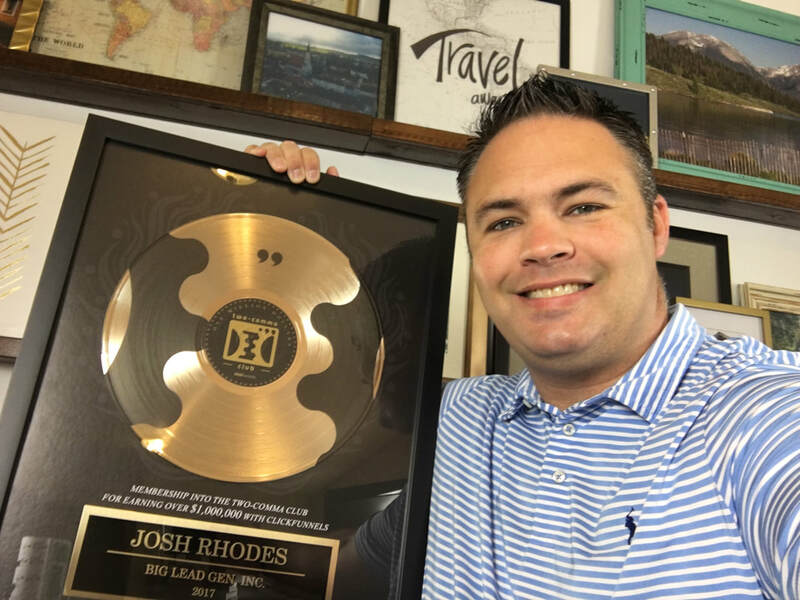 Hi, I'm Josh Rhodes, CEO of Big Lead Gen, INC.
We are north America's #1 implementer of marketing and sales strategies for real estate agents. Please know that we are a vibrant, experienced group of professionals who exist to create success stories for our members and clients. If you are a real estate agent that has discovered that the "industry" doesn't equip you to succeed with modern, up-to-date lead generation and conversion strategies, then you are in a safe place. With millions of advertising dollars under out belt, we've had enough swings at the plate to know what works...and what doesn't. WE ARE A SHORTCUT for agents looking to go to the next level in their business. Big Lead Gen, Inc. is a family of brands that concentrates on lead generation. Real Estate Agents who are growing sales oriented businesses can count on our notorious direct response marketing experience and digital marketing strategies. By leveraging popular social media marketing platforms like Facebook, Instagram, Youtube and Google, we know every step necessary to build a stronger brand and generate more leads for you. More than Likes, Comments and Shares, we deploy targeted advertisements in your exclusive areas of business so that your marketing dollars are spent only on prospects that matter to you. We show you how to generate LEADS...phone numbers and email addresses you can interact with. You will develop an entire ecosystem so that qualified leads find their way into your sales pipeline. You will create a tailored solution around your listings and book of business so that you can build a list of potential clients that will pay you dividends. Possibly the most gratifying part of the AgentLeads training is the fact that it's very measurable. You never have to wonder if your ad dollars are coming back to you with a return on investment. With the power of digital marketing, every lead and conversion is traceable so you can rest easy about your investment. As a top tier lead generation and funnel construction company, we have been honored by Clickfunnels with the coveted "Two Comma Club" Award. With just $181.96 of Facebook Ads, I landed one closing and 23 additional leads that are still in my pipeline for closing. This system works.